Emerging markets do seem to be tomorrow’s growth story. They have come out of the credit crisis relatively unaffected; with less debt than their developed counterparts and they seem well placed to generate faster growth. This survey aimed to discover if the recent credit crisis has changed IFAs’ views on this asset class, in particular Emerging Markets Debt, and whether this has translated into their clients’ portfolios. 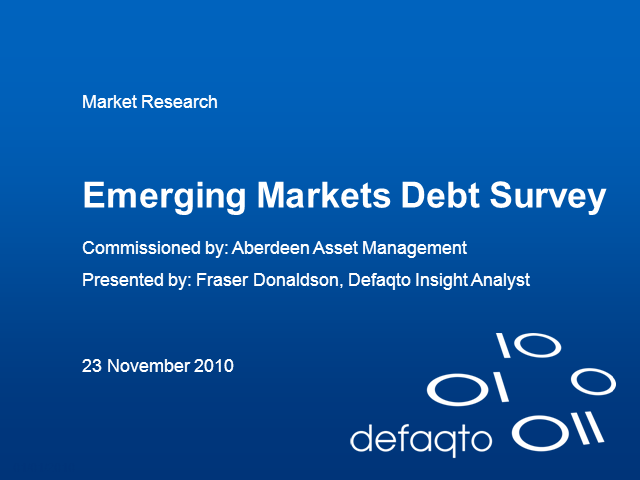 Join Fraser Donaldson as he announces the adviser survey results, sharing the communities' thoughts on emerging markets.